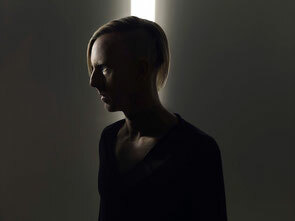 Richie Hawtin is set to bring his award-winning ENTER. concept to East London’s Tobacco Dock on Saturday 11 April, in what will be the event’s only UK date of 2015. ENTER. first began in summer of 2012, with Hawtin taking up a Thursday night residency at Space Ibiza. Over the last three years the team behind the event have picked up numerous awards, including Best Ibiza Night at the 2012 and 2013 Ibiza DJ Awards, and the event has gone on to tour the globe, stopping off in locations as diverse as Tokyo, Miami, Buenos Aires, Montréal, Amsterdam, Los Angeles, Manchester and Madrid. As the night prepares to begin its fourth season in Ibiza, Hawtin brings the show to London for only the second time, offering up an exclusive preview of the event’s new direction for 2015. Taking place at possibly one of London’s most talked about venues, the historic grade one-listed Tobacco Dock in Wapping, Hawtin will curate four rooms of music, inviting friends, collaborators, new faces and ENTER. favourites to join him. Staying true to its core principles of music, technology and experience, ENTER.LONDON will bring together Hawtin's biggest passions, resulting in a unique club experience, with music and cutting-edge technology touching every element of the show.